Full refund less $75 administration fee provided on minimum notice of 14 days prior to workshop. Free street parking at hotel. 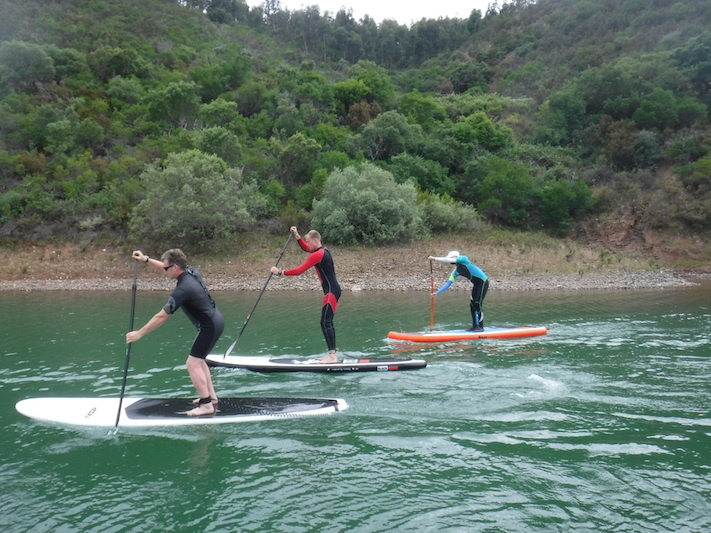 Enrol into 2 (two) ASI SUP instructor qualifications at the same time and take advantage of the combined workshop discount fee. Delivered over 1 day, it’s the ideal way to get qualified. Early bird rate is available if you enrol and pay in advance. Coastline Algarve are providing local support for the ASI Instructor workshops, providing a wealth of local area knowledge. Coastline Algarve can also provide on-the-job practical experience. Read the course information and requirements before enrolling. See links under Course Schedule. Your SUP rescue certificate will not be issued until this is received. Complete your First Aid training at the same time as your ASI training. You need a first aid certificate to obtain your ASI SUP Instructor or ASI Rescue certificates, but it can be provided up to 12 months after the instructor training. Delivered by Cristovão Catarino from Pura Vida Divehouse & Camp. Payment and enrolment is separate to ASI. To enrol, complete the online enrolment form on the ASI website. 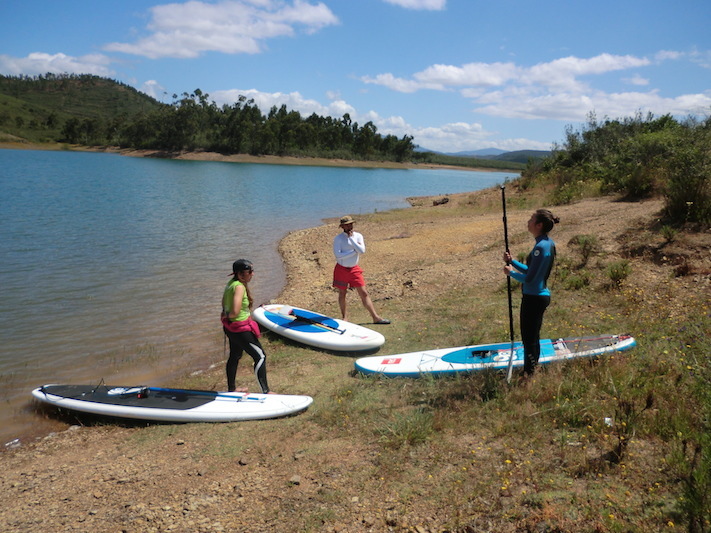 Algarve Surf School Central Reservations to book a range of accommodation - camps, hostel, hotels, villas. Prices from 18€. Transport Pick up and drop offs to our hostels (Sagres and Lagos) from Lagos train station and bus stations. From 10.00h am - 22.00h pm. 15€ for Sagres hostel, 5€ for Lagos hostel, each way. Faro Airport – is closest to Sagres - 113km from airport (1 hour drive). Car hire: available at airport. Taxi: From Faro airport to Sagres. Approx. 107€ / 137€ . Lisbon Airport (3 hour drive). Car hire: available at airport. Very good motorways. Your board and gear can be left overnight at the training room venue. 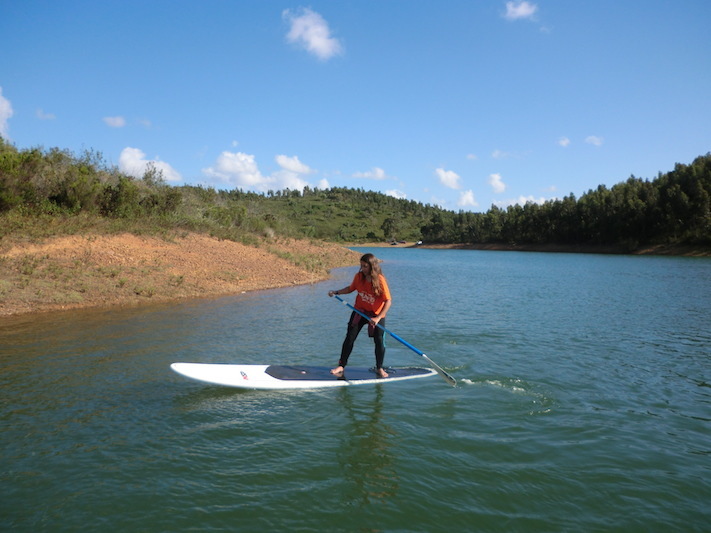 If you are travelling and don’t have your SUP board or SUP gear, you can hire it from Coastline Algarve. Please contact the centre in advance to ensure availability. Sagres is one of Portugal’s most historic towns. The town is on a headland overlooking a picturesque harbour and surrounded by protected national park. Due to its position on a headland, you can see the sun rise over the ocean and also set over the ocean. The sunrise and sunsets are spectacular. It is an area of unspoiled beaches and parkland and dramatic cliffs, with blue clear waters. The coast is ideal for paddling and exploring the caves and beaches. There are also inland flat water lakes and rivers in the nature parks. The town itself is small with many cafes and restaurants and hangout surf shacks. There is also an abundance of surfing locations to choose from. 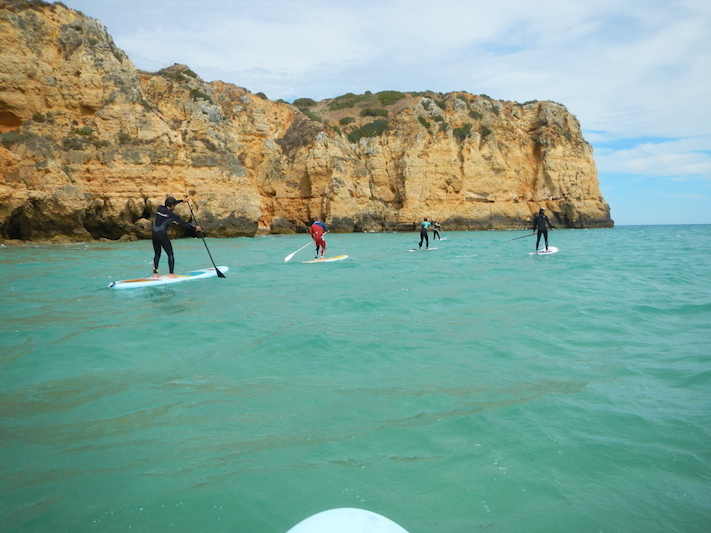 As Sagres is know for its great surf breaks. The area has an average of 300 sunny days per year.